There is no ready made software which can hack passwords in 2 or 3 steps!!! If you see something like this, it may be some scam to steal your money..Beware..
1) Hashing :- hashing will refer to the one way function (which may be either an encryption function or cryptographic hash) employed as a hash and its output as a hashed password. For example, LM hash that Microsoft Windows uses by default to store user passwords which have less than 15 characters. The LM hash breaks the password into two 7-character fields which are then hashed separately, allowing each half to be attacked separately. Note: Hash functions like SHA-512, SHA-1, and MD5 are considered impossible to invert when used correctly. 2) Guessing :- Many passwords can be guessed either by humans or by sophisticated cracking programs armed with dictionaries (dictionary attack) and the user's personal information. a simple modification of one of the preceding, such as suffixing a digit or reversing the order of the letters. In one survey of MySpace passwords which had been phished, 3.8% of passwords were a single word found in a dictionary, and another 12 percent were a word plus a final digit; two-thirds of the time that digit was. 3) Default Passwords :- A moderately high number of local and online applications have inbuilt default passwords that have been configured by programmers during development stages of software. There are lots of applications running on the internet on which default passwords are enabled. So, it is quite easy for an attacker to enter default password and gain access to sensitive information. A list which containing default passwords of some of the most popular applications is available on the internet. Always disable or change the application's (both online and offline) default username-password pairs. 4) Brute Force :- If all other techniques failed, then attackers uses brute force password cracking technique. Here an automatic tool is used which tries all possible combinations of available keys on the keyboard. As soon as correct password is reached it displays on the screen.This techniques takes extremely long time to complete, but password will surely cracked. Long is the password, large is the time taken to brute force it. 5) Phishing :- This is the most effective, Most popular and easily executable password cracking technique which is generally used to crack the passwords of e-mail accounts, and all those accounts where secret information or sensitive personal information is stored by user such as social networking websites, matrimonial websites, etc. Note:Sometimes you will get emails which are demanding for your username-password, urging to be e-mail service provider. Dont reply for them. Most Email providers and Social networks will not ask like this. It is recommended to use a strong passwords for your secure datas. Using long passwords containing lowercase, UPPERCASE, and $ymbols will secure your data much. 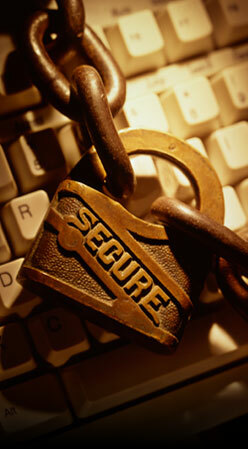 Using strong passwords, you can bypass dictionary attacks, Brute force and guessing. using more lengthy passwords will increase brutal force attacking time and the hacker will leave it.